For many people starting a new routine with their diet and exercise, the New Year really is the best time and gives more chance to succeed – however no matter how determined we are to succeed and no matter what time of year we start our new healthy lifestyle there are often stumbling blocks along the way and one of these I’m going to call the “Weight Loss Wall”! The weight loss wall generally can hit us first anywhere between 4 and 6 weeks and can happen in several different ways or for several different reasons (and also continue to reoccur during our weight loss journey). So we start off week 1. The first few days are tough, especially after our tummies are used to eating more over the festive season, but we stick with it because we are motivated by the New Year and fresh start. Weeks 2 & 3 and we are getting into the swing of things, starting to feel better, lots of energy and believing we can do this. Somewhere between weeks 4 & 6 we can suddenly wake up one morning and feel like we have hit that 1 month wall when we are feeling hungry all the time. Thinking about food more often than normal and perhaps even struggling to work up the energy to get our exercise done. Those positive vibes seem to have diminished and you are starting to feel like you may give in to temptation…..but STAY STRONG! If you can work through your mental blocks then you will come out much stronger the other-side and even more likely to succeed in the long run. Once you have overcome your own mental blocks you will KNOW that you can do it, having proven to yourself that you DO have the mental strength to push through when your mind is starting to weaken. This physical weight loss wall is when the scales simply stop moving even though we feel we are on target with our food and doing much more exercise than normal. It can feel demotivating and ultimately lead to a mental wall which can make it even harder to overcome! When we start a new regime our bodies do take a little while to adjust so the sudden halt on the scales is completely normal, the important thing is to just work through it and remember that consistency WILL keep that weight moving in the end. I say this over and over again to members but it really is important to keep an eye on your MEASUREMENTS with the tape measure as well as on the scales. Standing on the scales and not see it move can be very disheartening but sometimes there ARE changes in our body that the scales can’t show! If you are exercising and weren’t before, you will be increasing your muscle mass. Muscle is much denser and heavier than fat, so it is entirely probable that your increased exercise is building muscle. When you step on those scales you might have lost 3lbs of fat, but gained 3lbs of muscle – so the scales show a demotivating 0lb weight loss…….but in reality you have LOST 3lbs of fat. Without taking body measurements you will not know this and could completely lose your mental strength thinking that your programme isn’t working when it IS. With my personal training clients I also measure every few weeks to keep it regular, and it is really interesting that some weeks there may be very little movement on the scales but a large loss in inches. One of my female members was consistently losing between half a pound and a pound each week – but the inch loss was between 3 and 6 1/2 inches across her body each week! Had she not had the measurements she confessed she would’ve definitely felt deflated and probably given up or fallen off the wagon. Proving that what she was doing WAS actually working really helped her! 1. Avoid weighing yourself too frequently – once a week is enough. 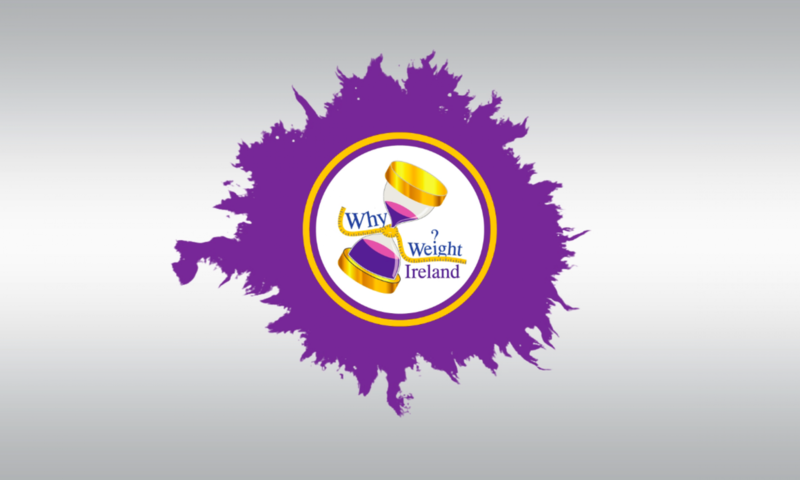 The timing of your ‘weigh-in’ is also important, as having gone without something to eat or drink for a few hours could make several pounds difference and give a low reading; whereas the opposite scenario could imply a higher than actual weight. In fact the difference between the two results could be as much as half a stone! So make sure you weigh yourself once a week, at the same time, after the same routine, and on the same scales. That way, your weight is more comparable to the previous week. Sometimes a better way to judge whether you are slimming down and changing body shape is just by monitoring how your clothes feel. 2. Ensure you have set a realistic goal weight for your body type and age. The most important thing is to reach a healthy weight – it is not about trying to get back to the size 8 body you had at 18, now you’re 35 and have had 3 kids! Start your goals one by one. When you hit your first goal, then it’s time to set your next goal. 3. Go back to keeping your food diary religiously. By tracking what you eat, you may discover that you’re actually consuming a good deal more calories than you’d imagined. You can become complacent and think you know the measurements and calories in foods but its only when you go back to adding into the diary you realise you were way off! 5. Step up your exercise level. As you are already exercising regularly with your personal fitness plan, you may need to give your metabolism a little boost by increasing the amount or intensity of your workout. 6. Drink plenty of water! Water helps your body to break down and flush out the fat and also speed up the metabolism to keep your body burning! 7. Don’t starve yourself – this will have the opposite effect! If you eat too few calories, your body will try to protect itself by slowing down your metabolism and hanging onto its fat for survival. Also avoid going for too long without food as this can trigger the same effect. Ideally eat something such as a piece of fruit every 3 hours (women) or about every 5 hours (men). This reassures your body that food is plentiful and facilitates calorie burning. 8. Be determined! Focus on your successes to date and remember the fact that weight loss is simply about creating an energy deficit – do this and you will lose weight. Stick with it, continue to exercise regularly and enter your food into the diary. The last few pounds may be stubborn, but they WILL come off in the end! Just don’t give up! SO KEEP GOING, even if you hit that weight loss wall – focus on working through it day by day and week by week, come out of the other side stronger and lets continue towards hitting your final goal! And remember, if it doubt – give me a shout! I am here for my members whenever you need some support so please just let me know and I will try and help pull you through! Now lets GO!